This summer, if you intend to stay put in your home country, there is a myriad of FUN activities waiting for you to explore with your family. 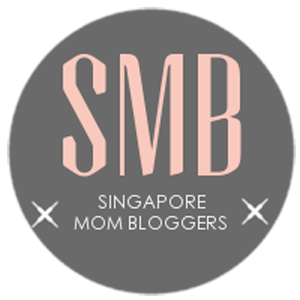 Apart from the regular sojourn to the mainstay attractions in Singapore – The Singapore Zoo, The Bird Park, Universal Studios, The Flyer and Sentosa, there are lots of FUN things waiting for you and your kids! 1. Audition to be a STAR – Modelling and performing are great exposures to enhance your child’s confidence in public speaking. If your child has a unique look and enjoy posing for the camera, and loves to sashay down catwalks, then you’ll be interested in Marina Square Kids Model Search 2012. There is a live audition on June 2 (Sat), 10:30am -12:30pm; 2:30pm – 4:30pm at Marina Square for 4 – 9 year olds. Bring along a 4R photograph and submit your application to Marina Square or Impact Models. Click HERE for more information. Can you child sing, act and dance? The hit Broadway musical ANNIE is looking for young stars (aged 6 – 14) to join them. Audition for three sets of nine orphans – the small and cute Molly, the ‘Tom-boy’ characters Pepper and July, as well as Kate, Duffy, Violet, Eleanor, Rosie and Becky. Each character must measure no more than 5’2″ or 157cm in height. Auditions taking place on 2-3 June with the show’s director and choreographer Roger Hannah. Download and email audition forms by 27 May 2012. 2. Lose yourself in the Movies – If you haven’t already caught Marvel’s The Avengers, you MUST catch it, especially if you have sons (aged 6 and above). They will LOVE it!! The younger kids may be a little “freaked out” by The HULK; although he was, in my opinion, the funniest character of them all. And if you have seen it? Well, watch it again. Other shows that your kids will enjoy are Dark Shadows, Men In Black 3 and Snow White and the Huntsman. For the little ones, Thomas & Friends: Day of the Diesels (19 May – 3 June) playing at Cathay (AMK Hub, Cineleisure Orchard & Downtown East) will surely keep them entertained. If nothing else, there’s always popcorn. Check out this list of freebies for the movies you want to catch. 4. Join the SAFRA Sprint Kids 2012 – In its third consecutive year, the search for Singapore’s fastest kid in on again. This race is targeted at kids 1 – 9 year olds. This year, there is a new category called “Tots Ride” for kids aged one to two. At the same time, in there is a specially created 40-meter dash for kids to “dash it out”. Very nice post. I just stumbled upon your weblog and wanted to say that I have truly enjoyed browsing your weblog posts. After all I’ll be subscribing on your feed and I hope you write once more very soon! This was an informative post.